Another night filled with fun and excitement, this time the same week as the actual Mexican holiday! 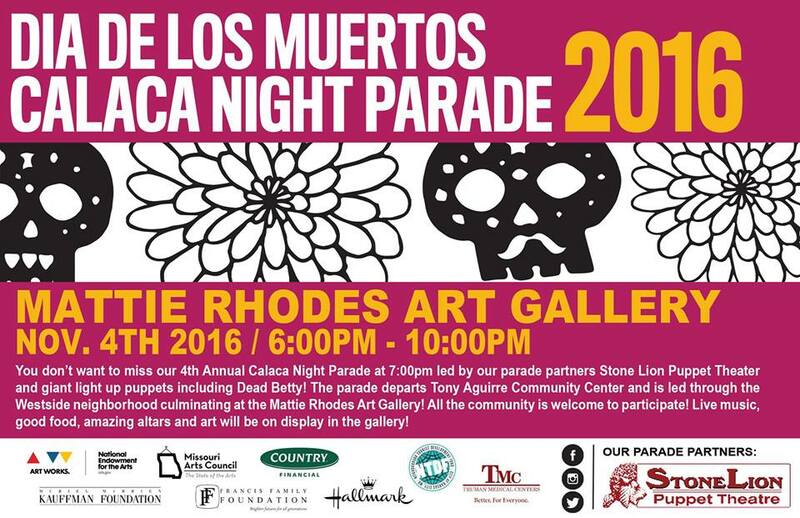 You don’t want to miss our 3rd Annual Calaca Night Parade beginning at 7 p.m. from TACC and led by KC Parks Partner Stone Lion Puppet Theater highlighting giant lit up puppets including Dead Betty! 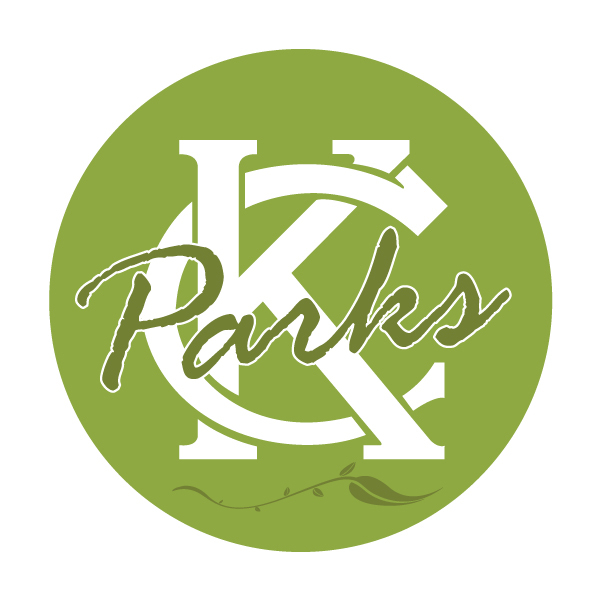 The parade winds through the Westside neighborhood and everyone is welcome to join in on the fun! 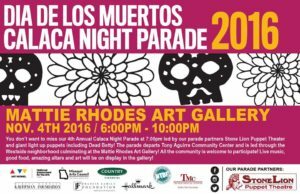 Live music, good food and amazing altars and art will be on display in the gallery!